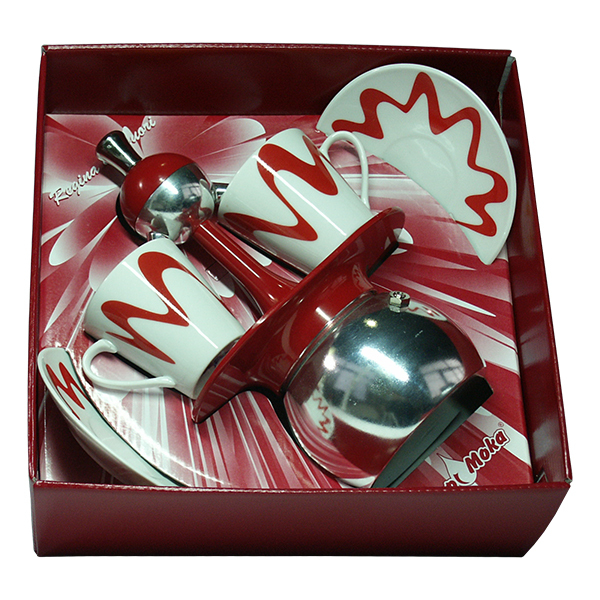 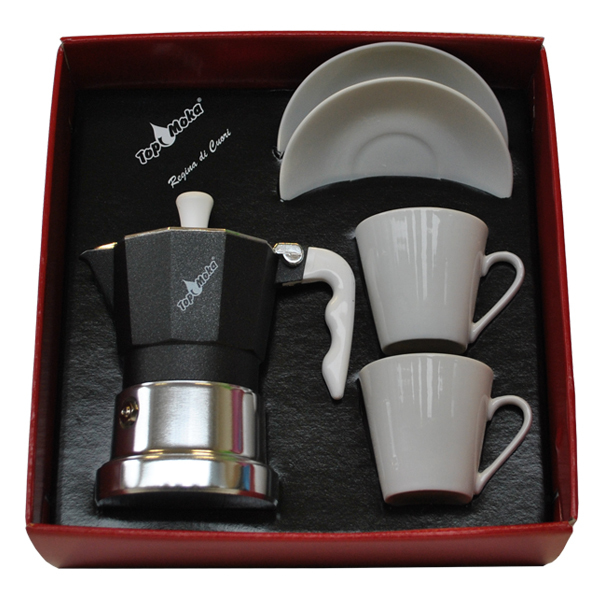 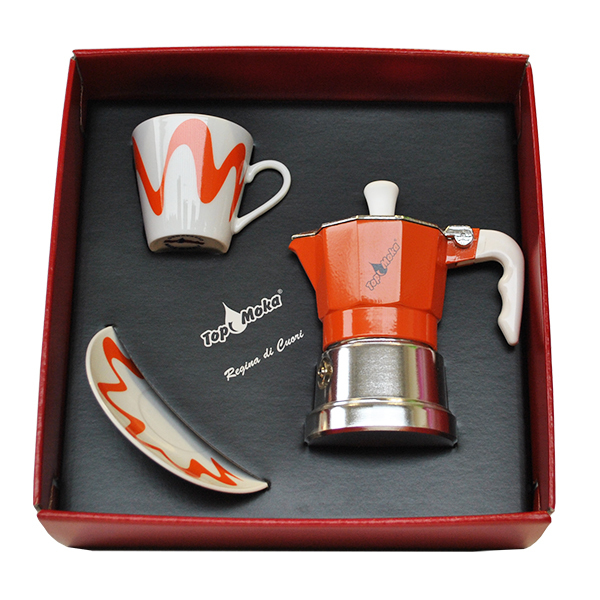 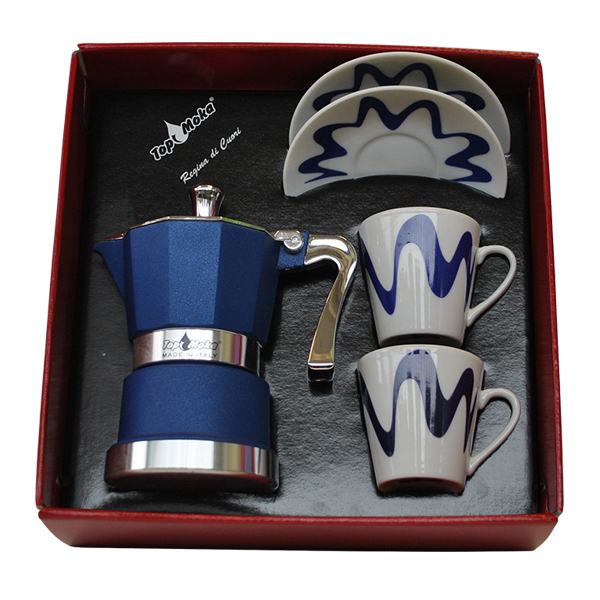 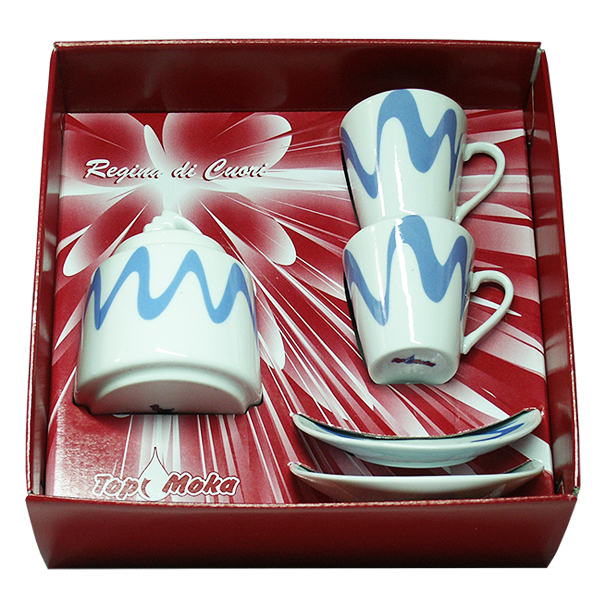 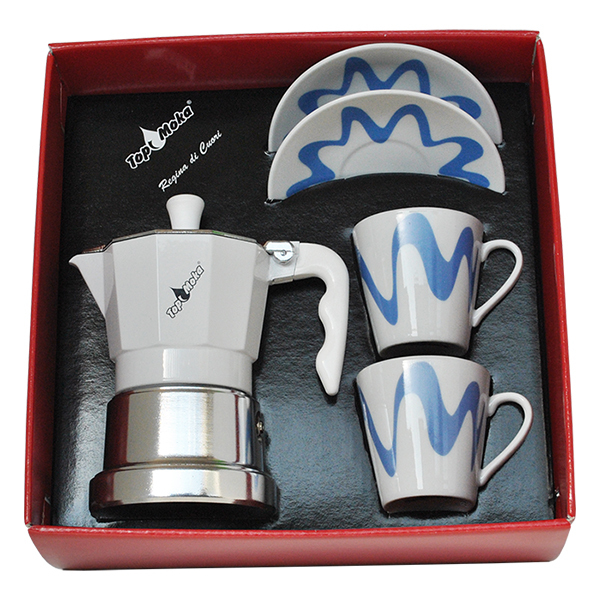 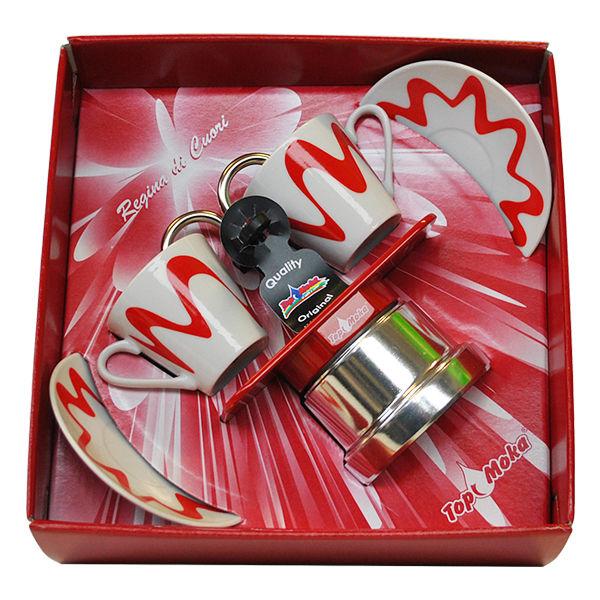 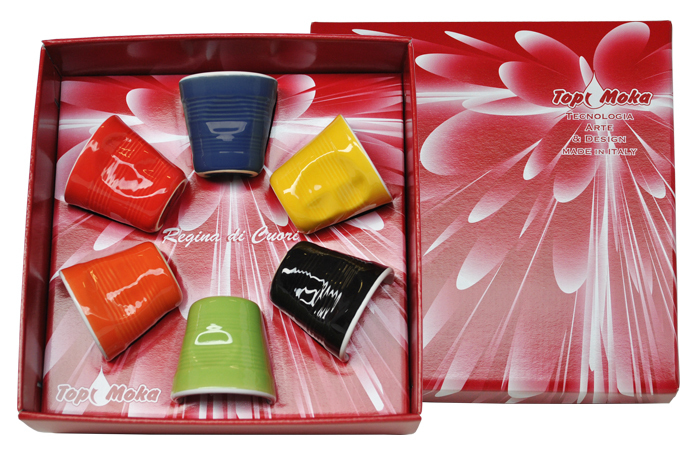 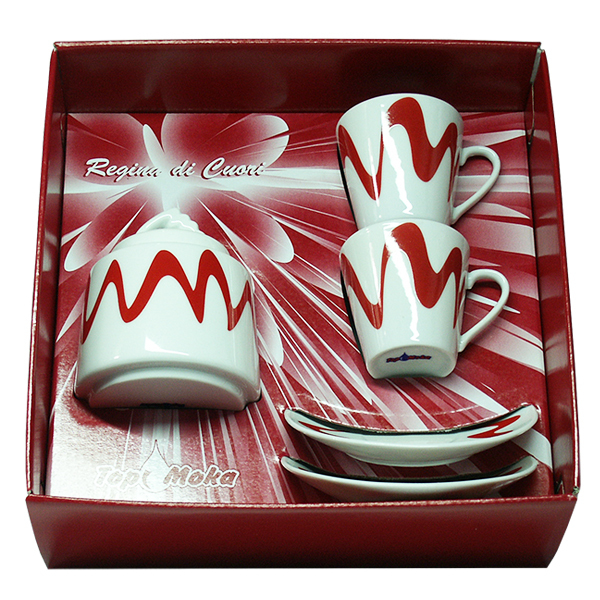 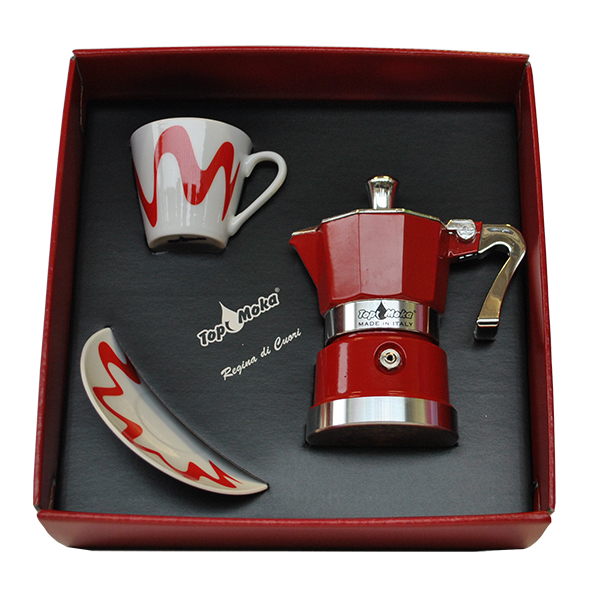 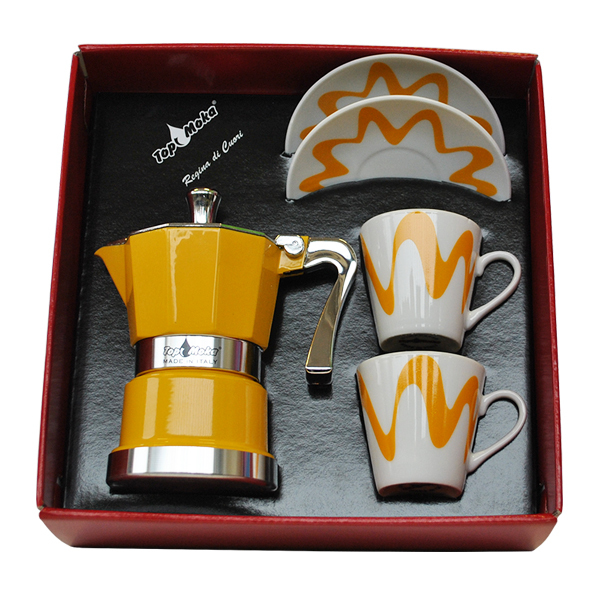 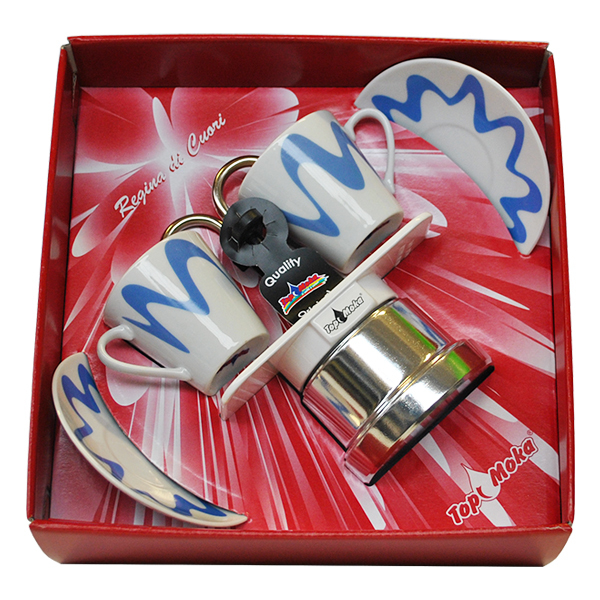 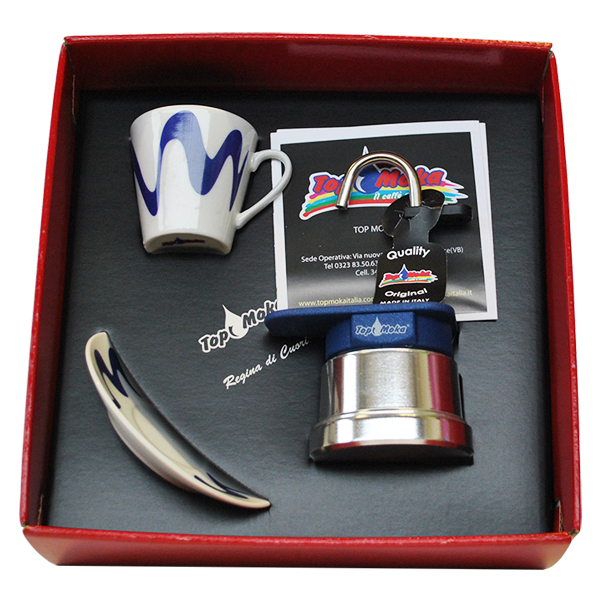 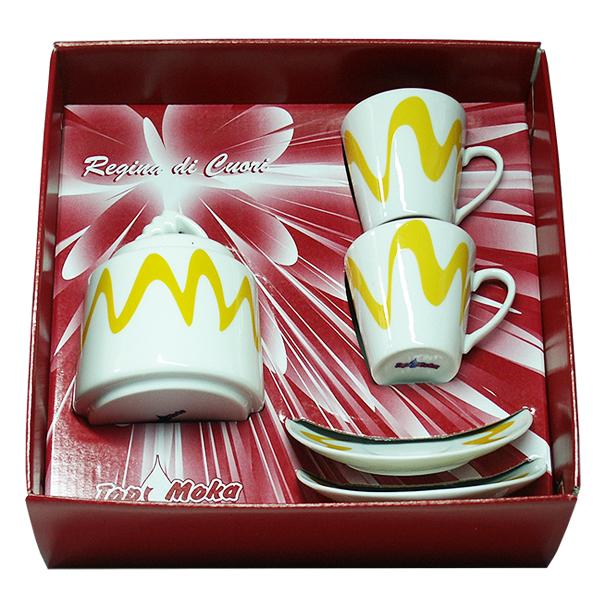 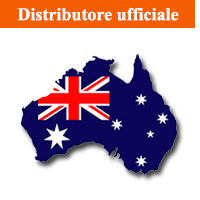 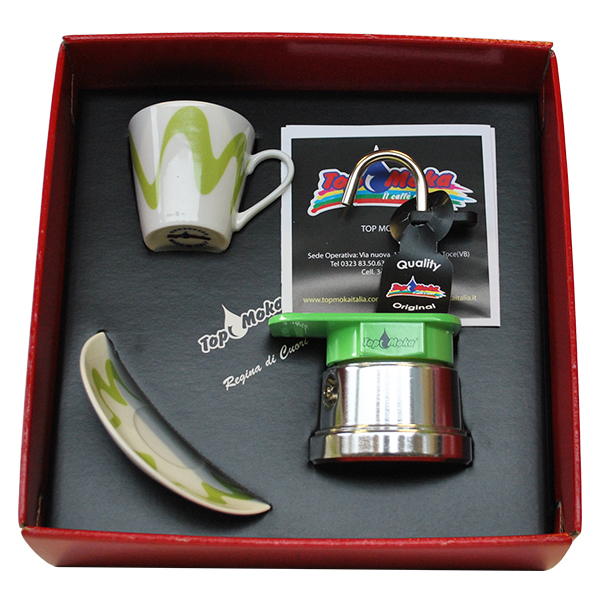 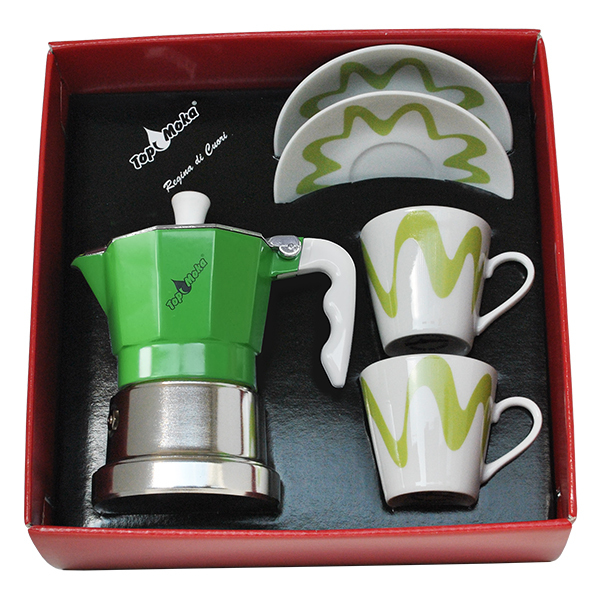 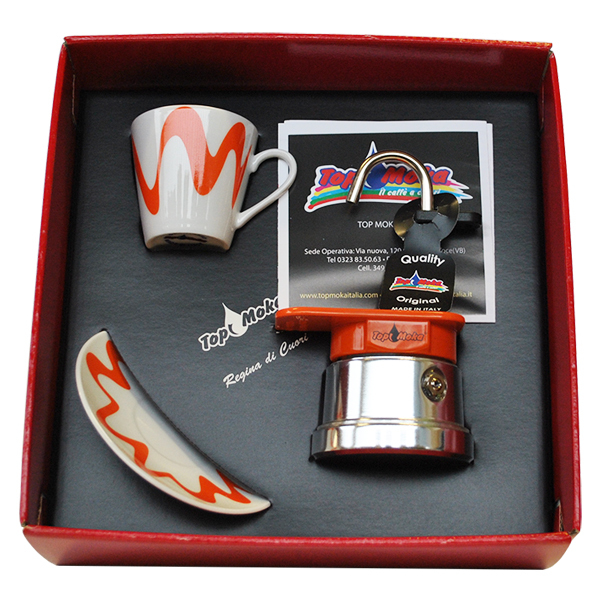 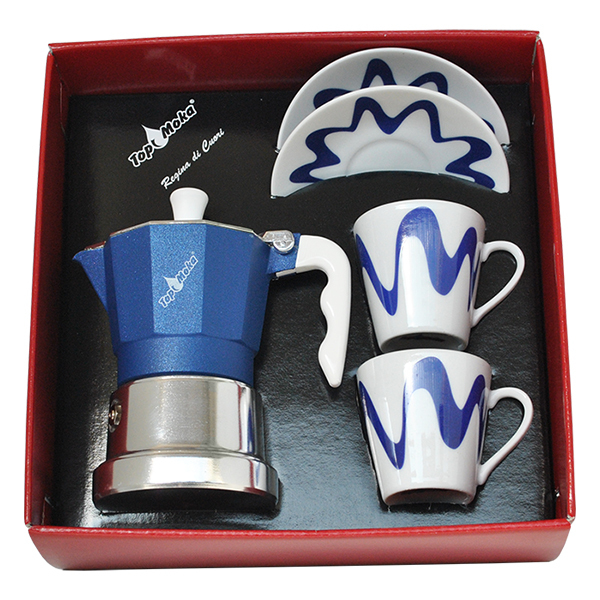 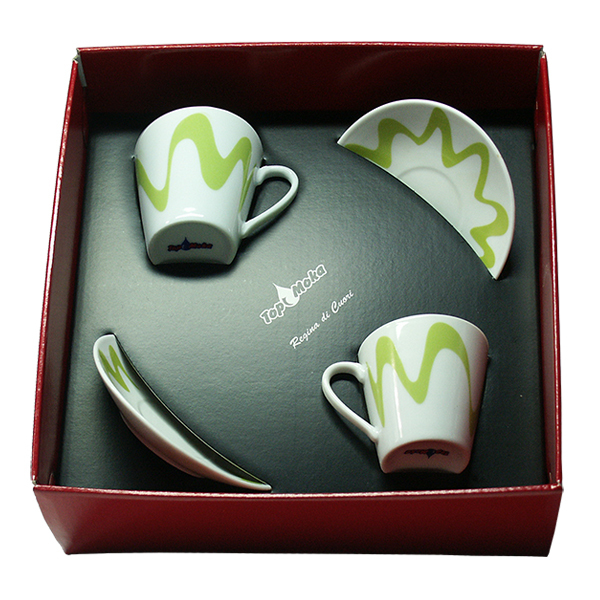 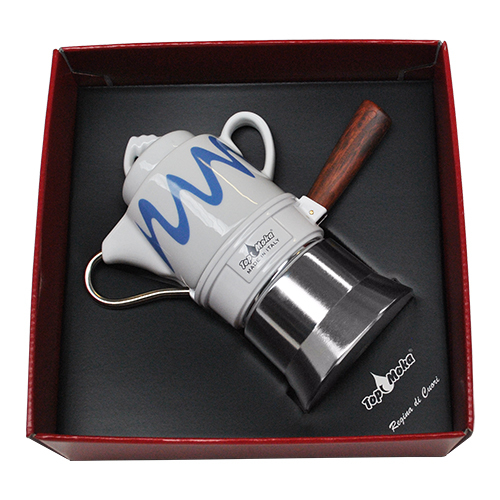 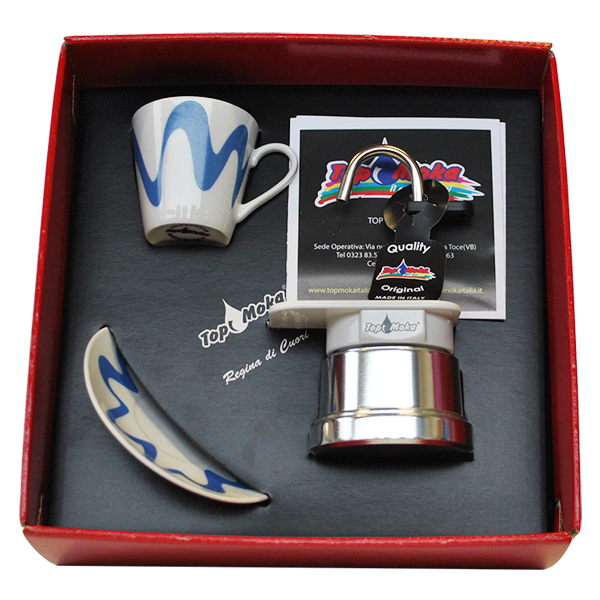 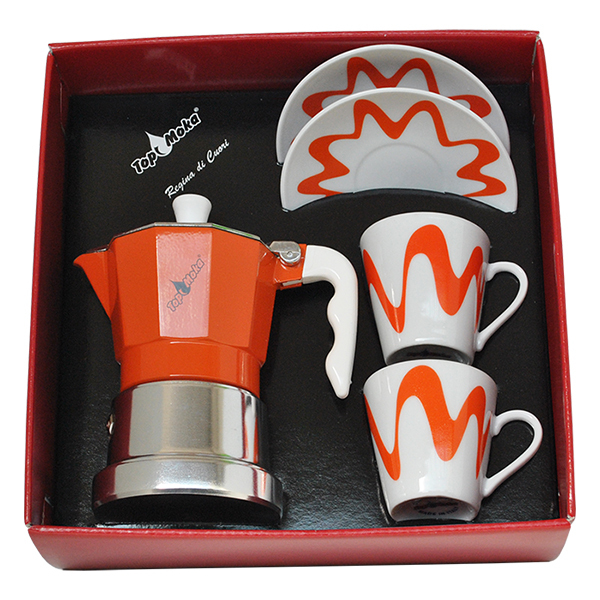 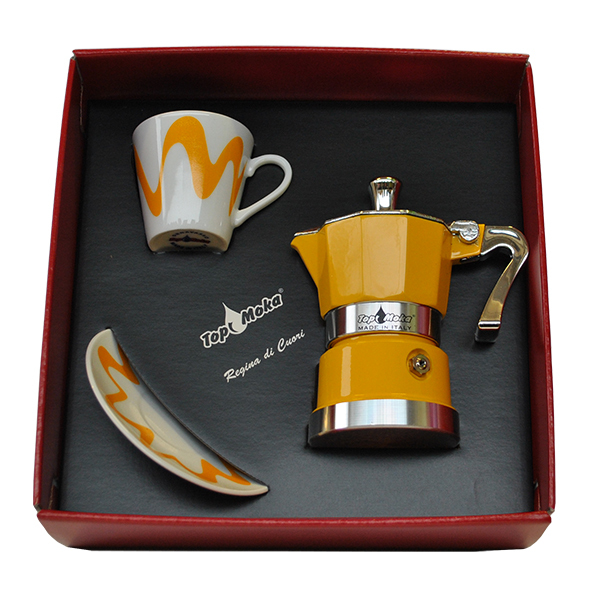 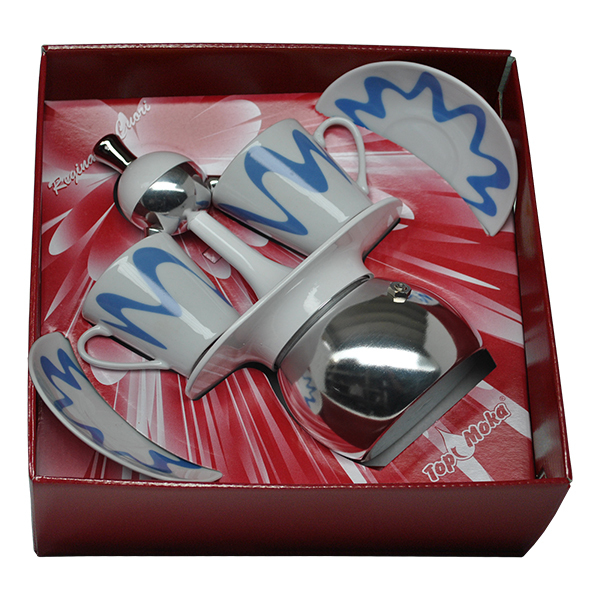 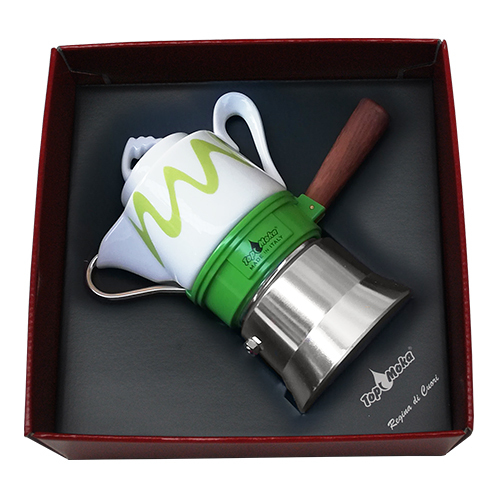 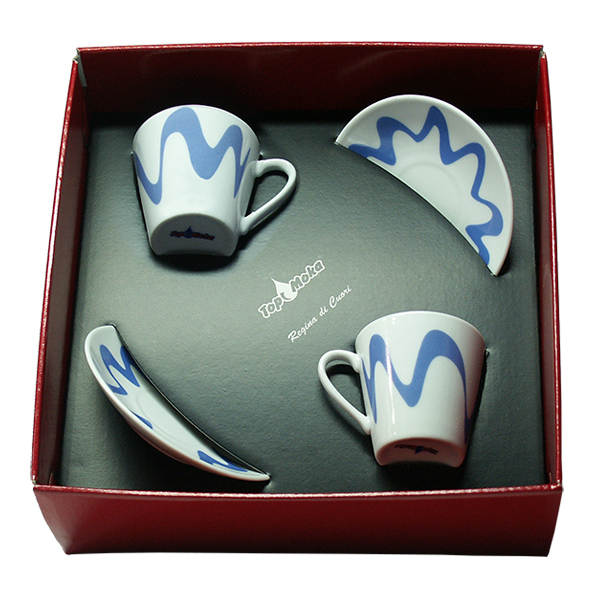 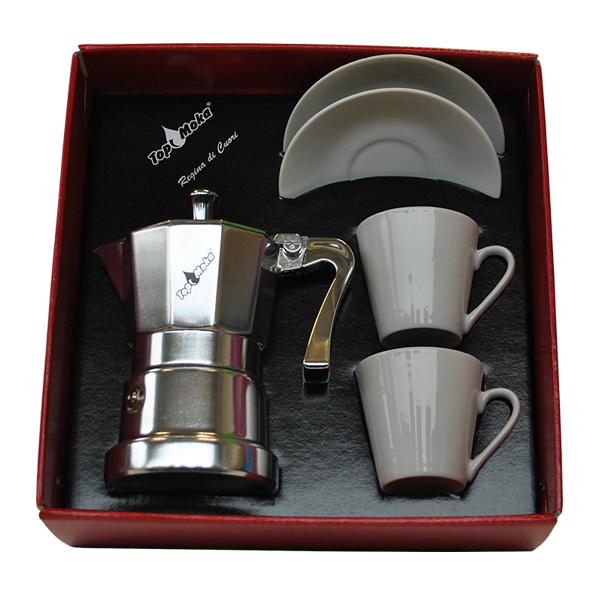 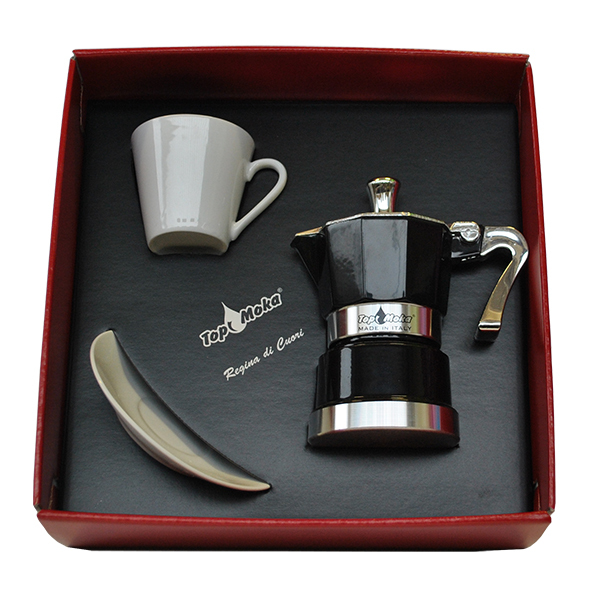 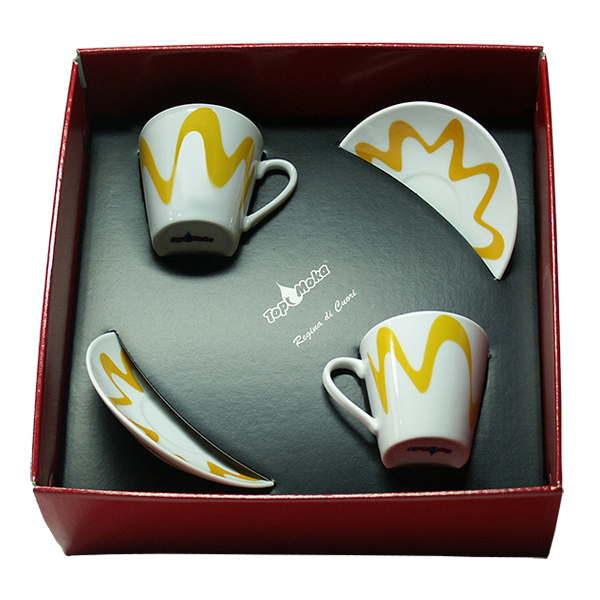 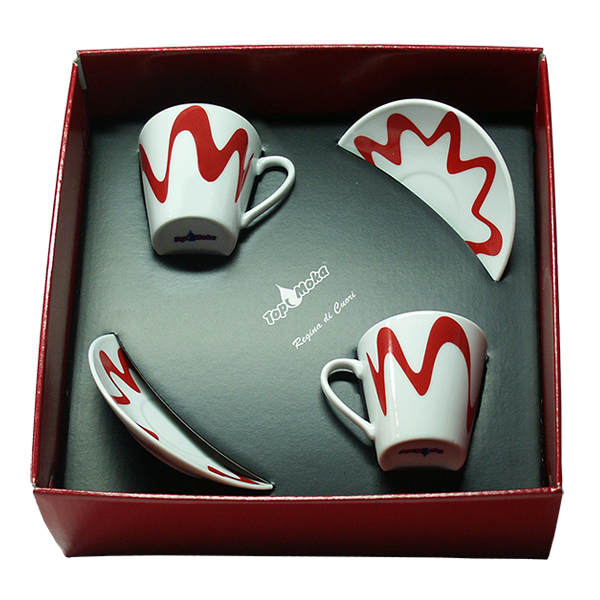 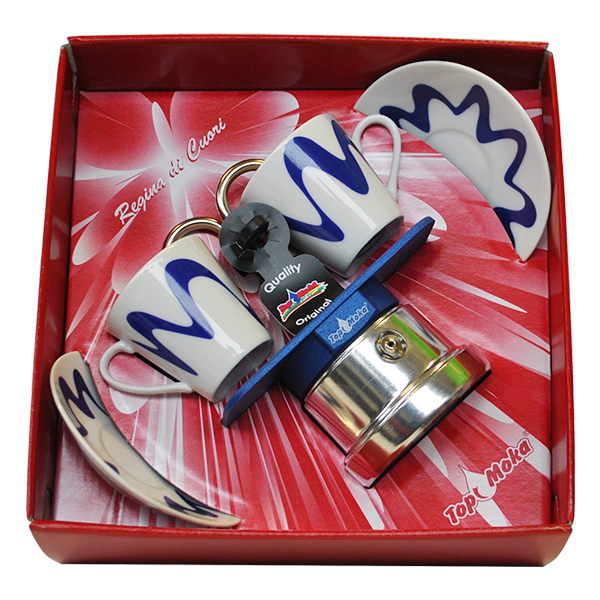 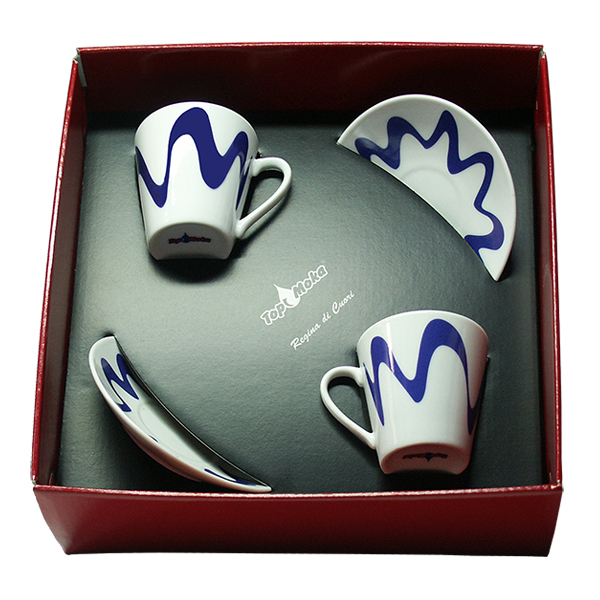 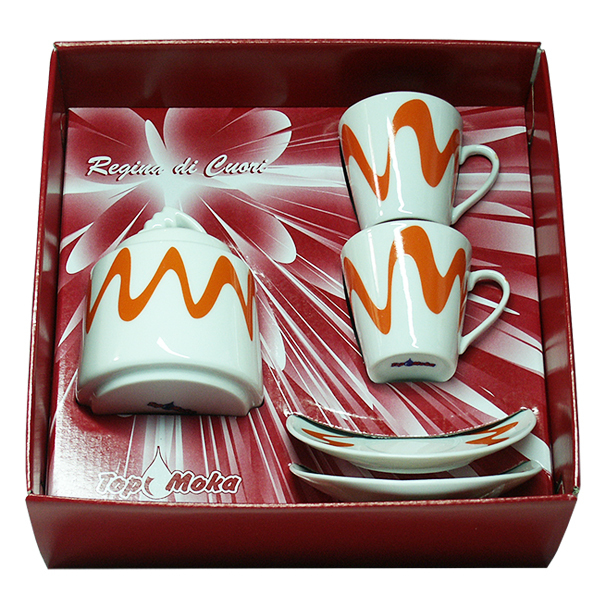 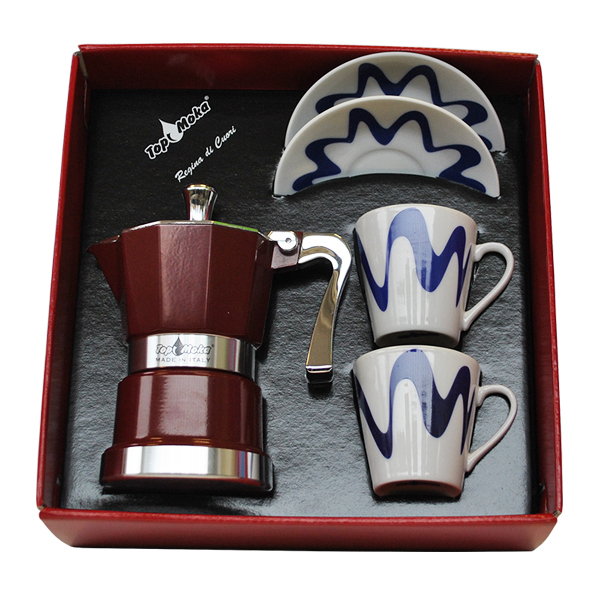 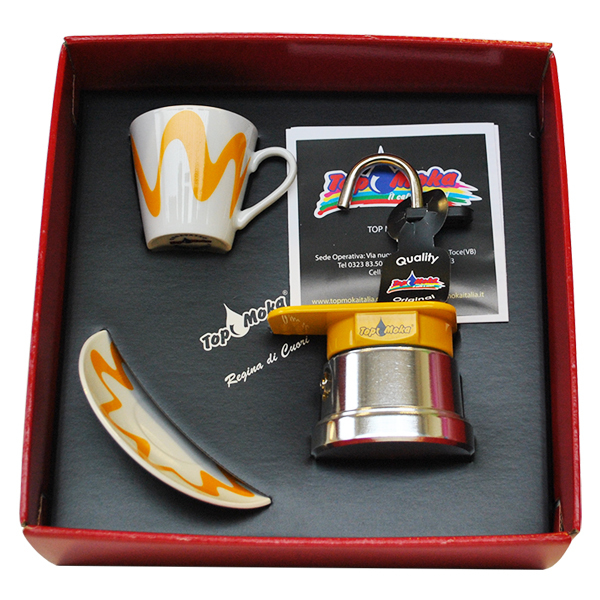 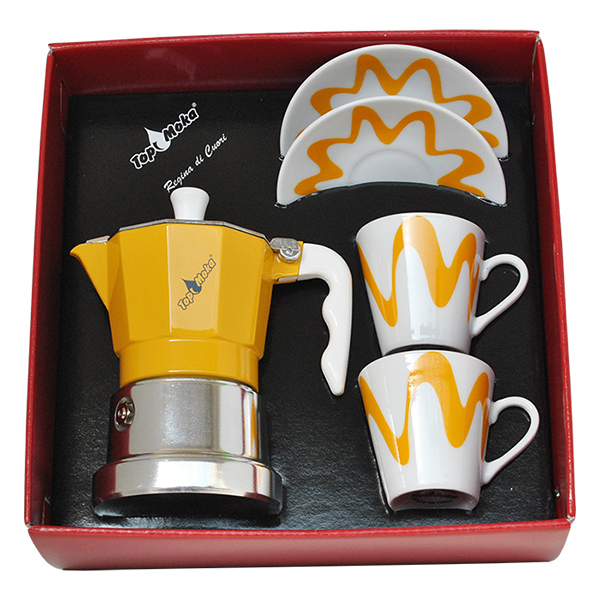 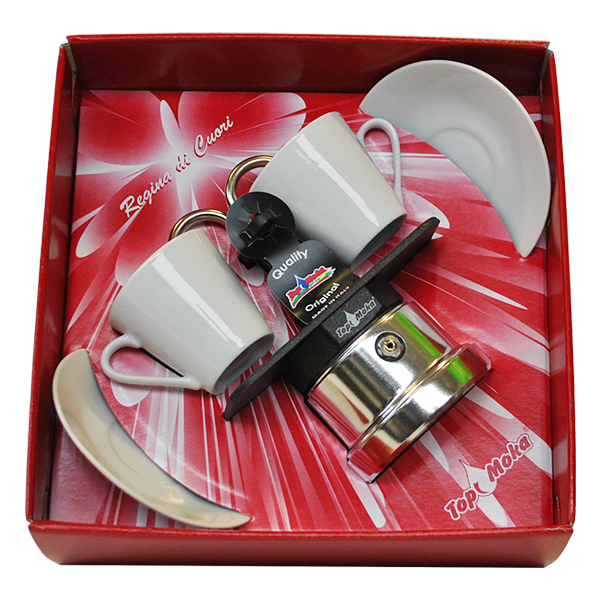 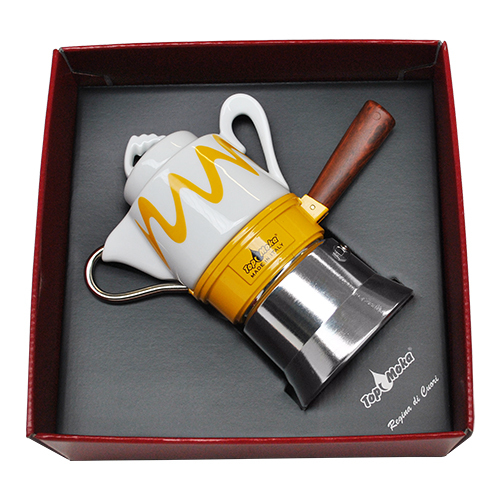 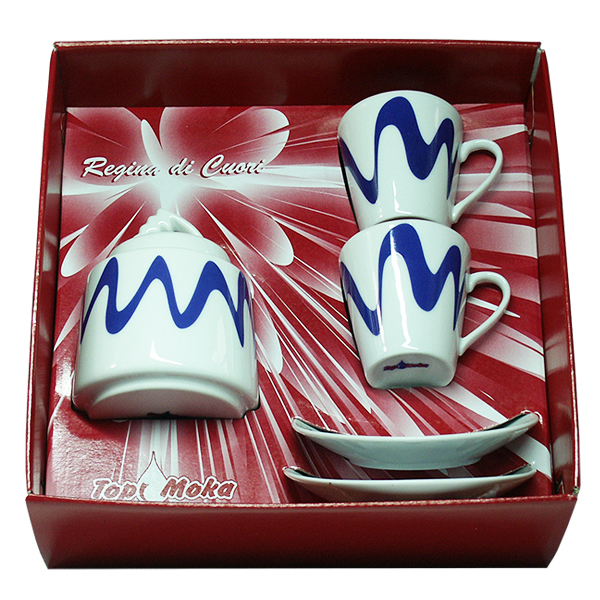 Queen of Hearts gift box: the most popular coffeemakers in a classical set-box! 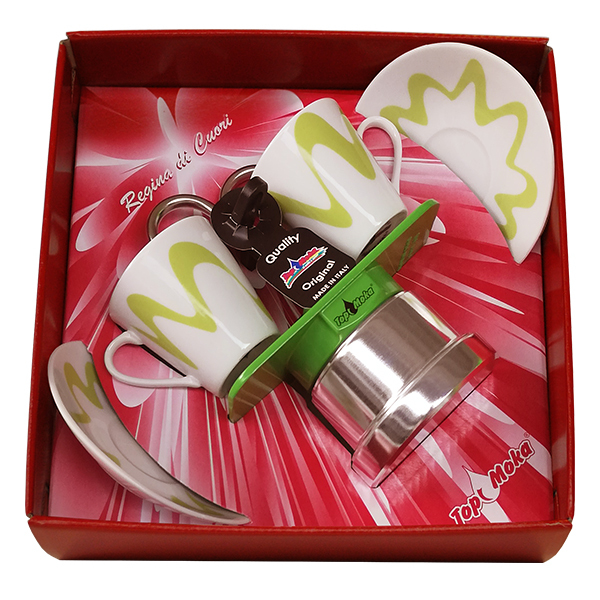 The 'Queen of Hearts' packaging combines our most popular models to a stylish box and a set of classic cups and saucers, for very special occasions. Mini1 cup + 1 cup and saucer in tandem. 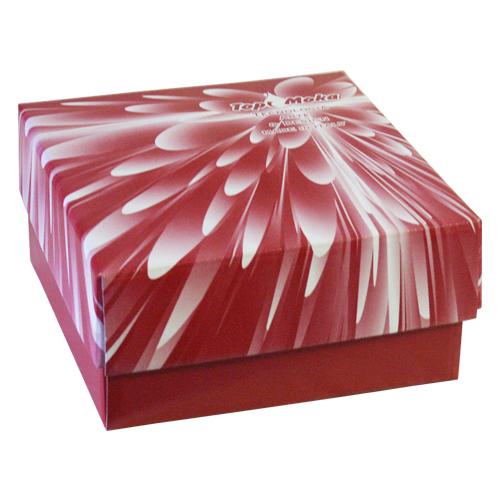 Gift-box "Queen of Hearts" with 'squeezed' glasses.